Rim the edge of a small glass serving bowl with agave and two tablespoons of flake salt. Set aside. 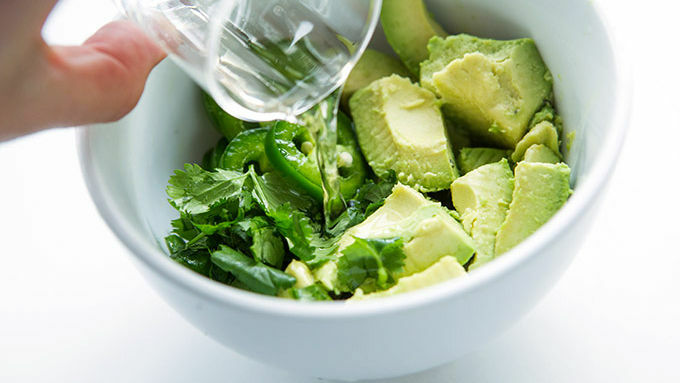 In a medium bowl, use a fork to mash together avocados, tequila, jalapeño, shallot, lime zest and cilantro. 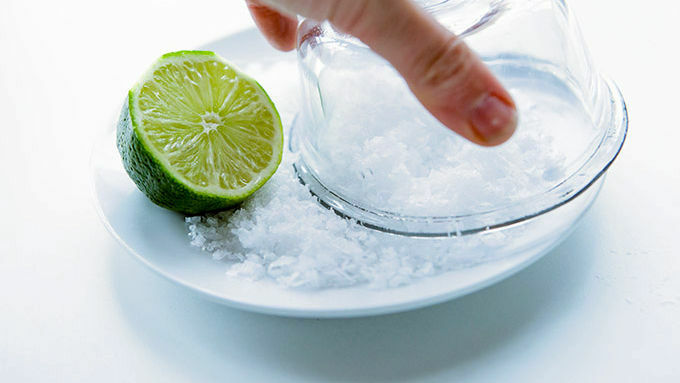 If desired, garnish with a slice of lime and flake salt. Serve immediately with blue corn chips. Love that tequila flavor? Feel free to add another splash or two, if a creamier guacamole is desired. All of the best ideas happen over tequila. I know you know this. But let me explain. I was sitting around the kitchen table with a few friends last Saturday night, sipping tequila as one might do on any given weekend. When midnight cravings hit and we were all frantically scouring the cupboards. For something salty. Something crunchy. Something savory. Something fat and creamy. Something so totally guacamole. But with that added kick of feel-good flavor. And so, Margarita Guac was born. 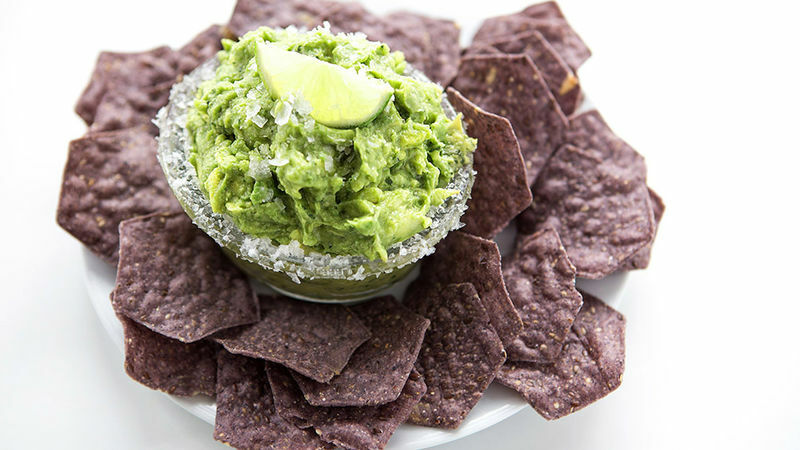 Basic guac gone tequila-spiked. With just the right basic add-ins to make a batch so good, it’ll blow your tastebuds into next year. Which isn’t even a thing. And doesn’t actually sound desirable. But, believe me. Is. Here’s your ingredient line-up. 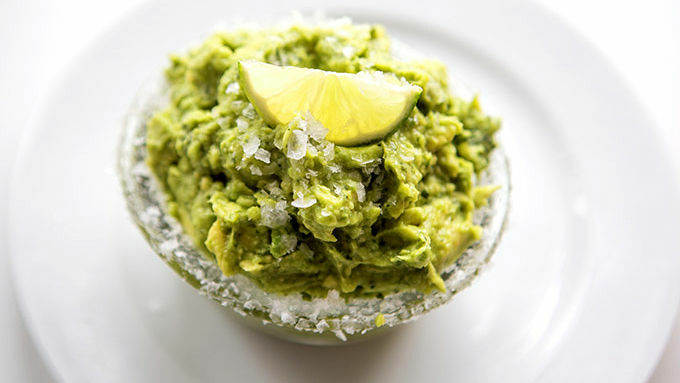 Looks just like regular guac, but with the addition of that tiny little shot glass of tequila. Grab a bag of tortilla chips. The deep color of blue corn chips looks particularly stunning with this recipe. Sweet potato and multi-grain chips are also great. Or keep it simple and serve up some restaurant-style corn chips on the side. Saturday night calls. So, mix it up margarita-style. A kiss of tequila, no hangover. Maybe the best weekend combo of all time.